Former Chelsea Technical Director Michael Emenalo is confident of Antonio Conte's future as a Chelsea Manager, despite rumours surrounding his Job. For a while there have been various reports that have claimed Conte could leave the club for a number of reasons. There are suggestions of Conte being Home sick, while others have claimed he has fallen out with the Chelsea board. The Chelsea coach recently came out in public dismissing suggestions he could be replaced by Carlo Ancelotti at Stamford Bridge. 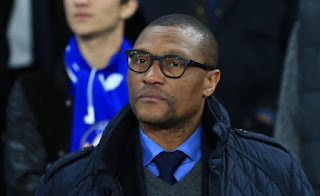 However, there are still fears that Conte could leave the club, and Emenalo has told supporters not to worry about the manager's future at the Club. Speaking in an interview with Jim White of talkSPORT, the new AS Monaco Sporting director said: "Chelsea are very lucky." "Every year we seemed to find some very good people to manage or coach that club and I think in Antonio Conte they have one of the best three coaches in the world. "I think that he enjoys a lot of respect at the senior level, the board level and the ownership level of the club, so there should be no worries at all. "It is true that I have a very good personal relationship with him, I love his work, I love his passion, I love his ideas. "But I think he'll just be fine. "He is surrounded by a lot of competent assistants, those he brought with him and those who were already at the club, and their recent results just show they will keep going on stronger and stronger. Do you think it will be wise for Chelsea to keep Antonio Conte?